2 by 3 Heroes: Checking in. Maybe I have been a little quite post wise in the past couple weeks. Sorry. A lot is going on, but mostly, I haven't been in a writing mood. I appreciate the bloggers that get something up daily or every other day. I am always reading. But I never committed myself to a schedule like that. I post when I want, and if I miss a few days, I'm not worried about it. I love all you that read and comment. If you want more from me - ask. And then I'll ignore you and stick with my own pattern. But since Tis the Season will be starting very soon, I need to publicly thank people since my scan folder is filled. 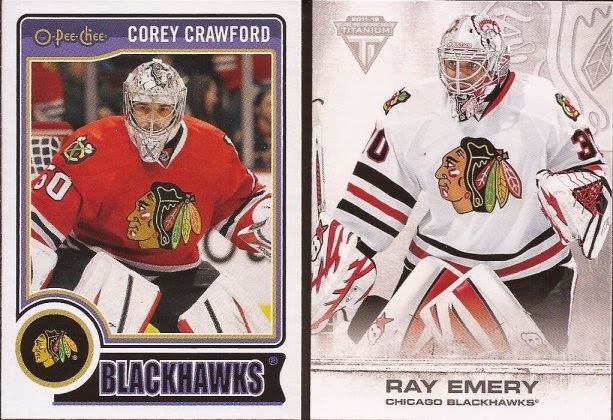 Recently, I completed a couple traded that netted me some Blackhawks hits (checks?). First off, good ol' DJ with Sportscards from the Dollar Store. Anyone willing to rip as many repacks as DJ wins a spot in my heart. So they are aren't Blackhawks. DJ did throw some Sox cards, and a couple bunts for the binder. Crow is having a great year. Then he goes and hurts himself leaving the House of Blues. He won't give details, but you can be sure alcohol was involved. Ray did a decent job the year he was here. Then he thought the 2013 Cup success was because of him, went to Philly and stunk it up. Guess what, Ray - your name is on the Cup, but all the other names is what put yours there. And jumping Holtby was a douche move. Now we are talking! 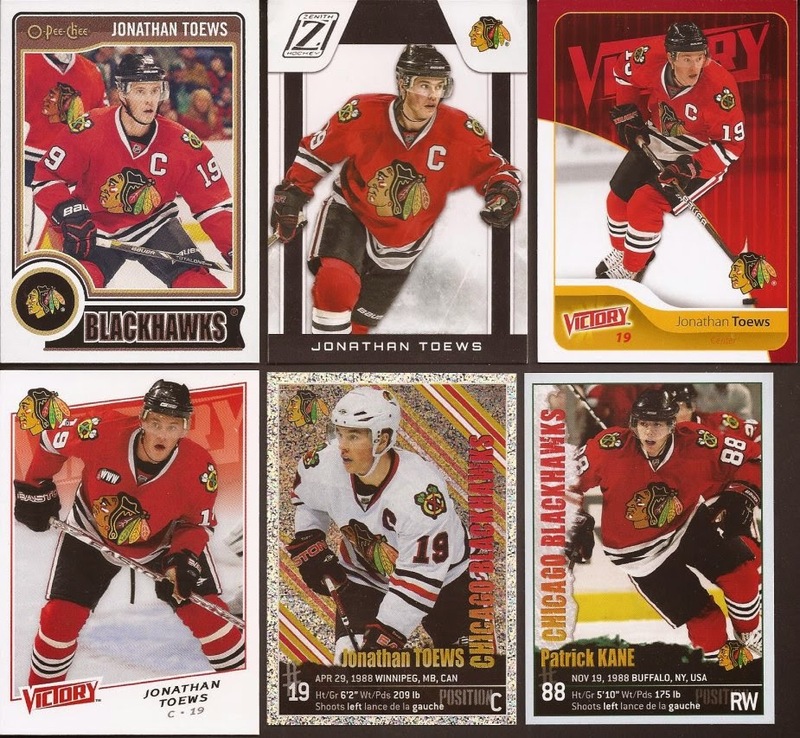 Me thinks I should start organizing my Toews and Kaner cards. And those to at the bottom right are stickers. Captain Serious is sooooooo foily. These two are the highlights from DJ. 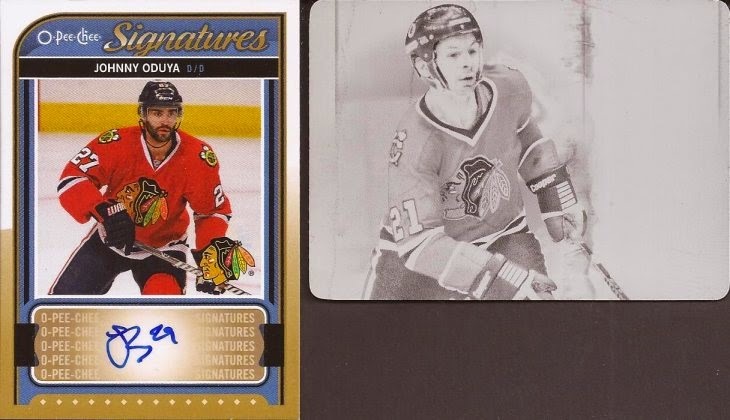 Great auto of Ham Sandwiche's defense partner with Oduya. And a black Stash printing plate from 13-14 Dominion. I still owe you, DJ. 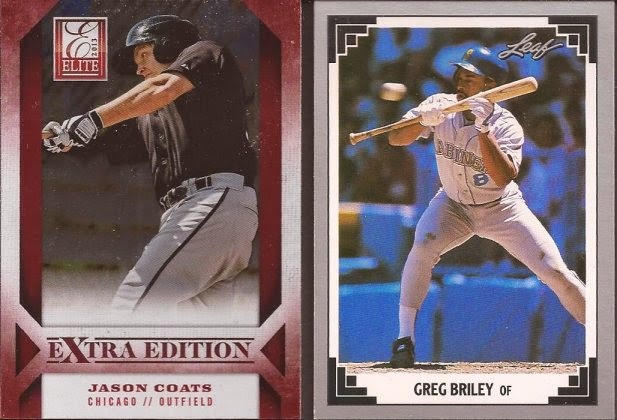 Hoping next week's card show pans out for me...er....you. The other Hawks I received came from Matt at Cardboard Conundrum. Matt rips the hockey wax I wish I could. Luckily, a Blackhawk appears here and there, and I can luck out and wrestle a few away from him. It helps when my wife wins boxes of cards via my LCS bingo. I had my eyes on this card. 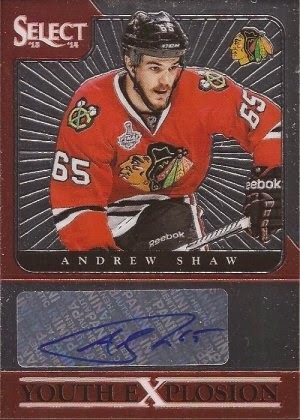 Gotta love Shaw (ask my daughter). But the guy is pure Blackhawk hockey - gritty, gutsy. Everything you want in a player. Luckily, there were two other cards in the envelope. This may look familiar as I got this exact card from another DJ package. 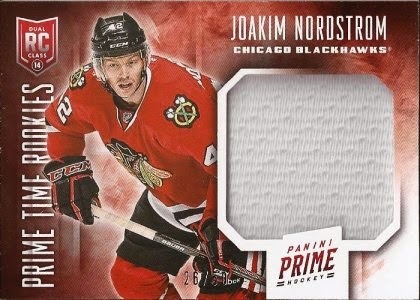 I'm fine with that, though, as Nordstrom is doing a signing at my LCS next week, so I'll get one of them auto'd. Blackhawk? No, unfortunately. Stanley Cup winning Blackhawk? He was in 2010. 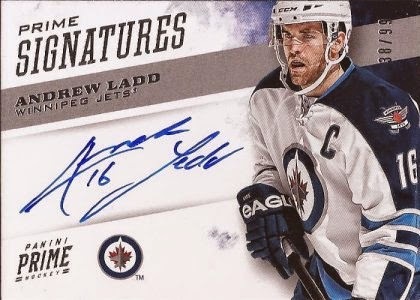 I like picking up autos of any former Hawks, and I always liked Ladd. Good for him that he wears the captain's C up north. Bad for him, cuz he won't be lifting any hardware with that plane on his chest. Thanks DJ and Matt for the nice binder additions. The inevitable "blog lapse" happens to us all, no need to apologize. Nice batch of goodies indeed!